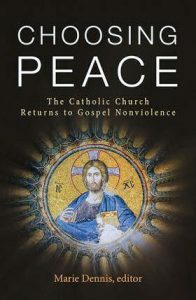 The Catholic Nonviolence Initiative is a project of Pax Christi International which began out of a Conference co-hosted with the Vatican in Rome in 2016. The Conference produced Appeal to the Catholic Church to Re-Commit to the Centrality of Gospel Nonviolence. Since then the project has grown. The website carries a wealth of on nonviolence and just peace together with webinars, study guides and news of the CNI project.